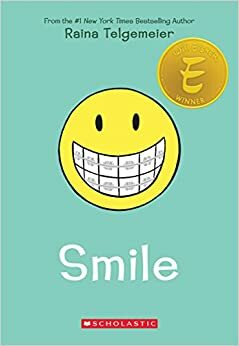 Raina Telgemeier grew up in San Francisco and moved to New York City, where she earned an illustration degree at the School of Visual Arts. She is the creator of Smile, a #1 New York Times bestselling graphic memoir based on her childhood. It won a Will Eisner Award for Best Publication for Teens, received a Boston Globe-Horn Book Honor, and has appeared on many state reading lists. She is also the creator of Drama, a #1 New York Times bestseller and the recipient of a Stonewall Book Award Honor. Raina also adapted and illustrated The Baby-sitters Club graphic novels. Her latest graphic novel is Sisters, which is her second autobiographical memoir based on her childhood. For more information about Raina Telgemeier and her work, visit http://www.goraina.com. Tim Ferrara is an independent writer and fantasy magic enthusiast. Tim Ferrara’s recent independent work can actually be found in Hana Doki Kira. He is also the creator of the webcomic Honey and the Whirlwind as well as a co-creator of the web comic Ode with Annie Stoll. Though Tim Ferrara has been known to illustrate his own comics, he is primarily a writer. To learn more about Ode, visit http://www.odecomic.com/. To learn more about Tim Ferrara and his work on Honey and the Whirlwind, visit http://www.honeyandthewhirlwind.com/. Empire Saber Guild is the New York Temple of Saber Guild, an international Star Wars lightsaber performance and costuming organization. The organization is a Lucasfilm-recognized, not-for-profit fan group who performs at fan conventions, charity events, sporting events and official Star Wars events around the world. Its members are choreographers, dancers, actors, artists, costumers, filmmakers and photographers, all who volunteer their time to share their love of Star Wars with the community. The organization’s focus is on lightsaber performance for stage and film. For more information about the Empire Saber Guild, visit their website at http://www.empiresaberguild.com. For more information about the Empire Saber Guild’s parent organization, the Saber Guild, visit http://www.saberguild.com. For the Empire Saber Guild’s Facebook page, visit http://www.facebook.com/EmpireSaberGuild/. Jenny McKeon is an artist based in Western MA. She draws the webcomic Eerie PD and her book ABC: Anime Boston Confidential is debuting in spring 2015. To learn more about Jenny McKeon, please visit http://cargocollective.com/jchannel/. Annie Stoll is a freelance graphic designer for companies like Lucasfilm, an art director at Sony Music, and a comic illustrator. Annie Stoll creates comics and watercolor tutorials on her site, squidsalad.net. She is also the co-creator of the web comic Ode with Tim Ferrara. As a member of the Year 85 Group, she has also art directed a collaborative project called Hana Doki Kira, which is a shojo anthology with 26 different artists influenced by the shojo comic genre. Recently she was nominated for a Grammy in “Best Album Packaging” for her design work on the album Automatic Music Can be Fun. To learn more about Annie Stoll and her work, visit http://www.anniestoll.com/news/.